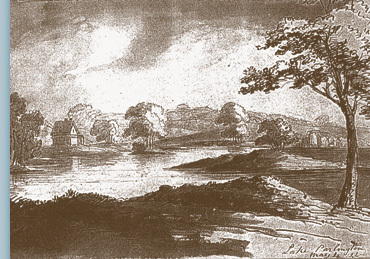 The image below is adapted from a photocopy of a victorian sketch of the lake drawn May 4th 1844, Artist unknown, probably shortly after the lake was completed. 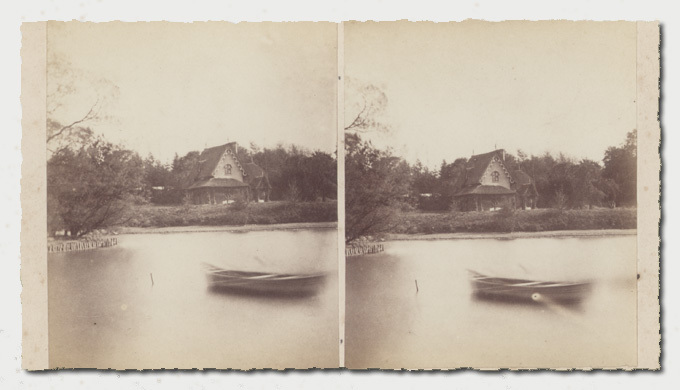 Only Lakeside Cottage remains intact as shown at position E on the plan. 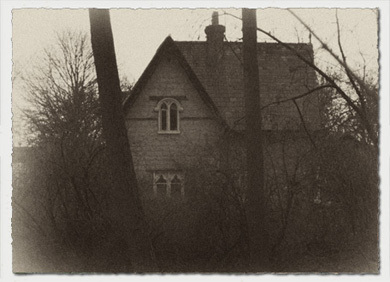 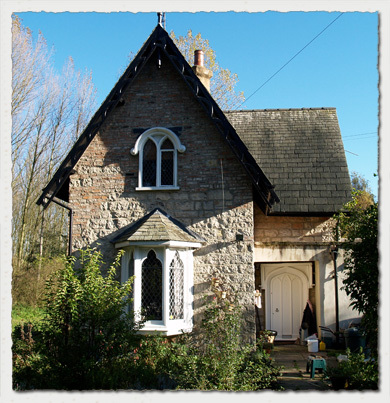 More information about Lakeside Cottage can be found in the Estate Houses section here. 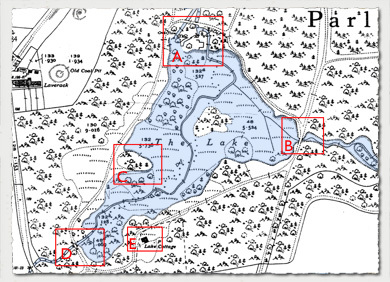 Click here for a larger plan of the lake.